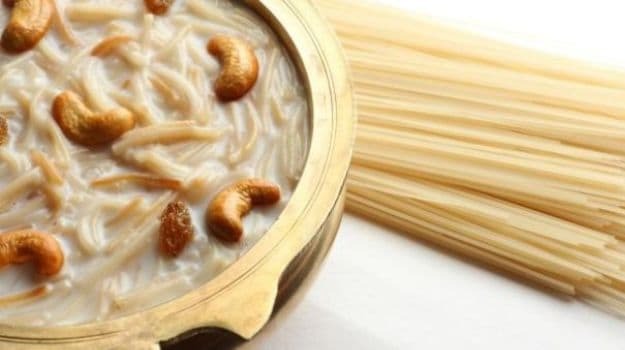 Eid Al-Fitr 2018: Sheer khurma is a traditional version of vermicelli pudding, which is an essential part of Ramazan Eid celebration. Click here to know how to make your sheer khurma healthy. Eid-Al-Fitr is an important religious holiday celebrated by Muslims all over the world. Eid Al-Fitr 2018 will be observed on the 14th and 15th of June. And with Eid around the corner, every kitchen will smell of the essence brought out by sheer khurma. Sheer khurma is a traditional version of vermicelli pudding, which is an essential part of Ramazan Eid celebration. 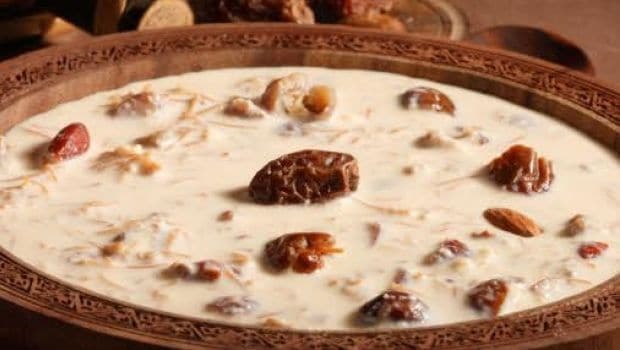 The word 'sheer' is a Persian word for milk and 'khurma' stands for dates. 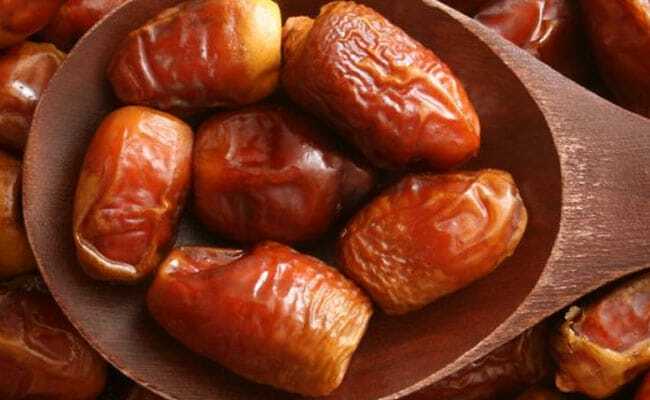 It is said that Prophet Mohhamed broke his fast with a date. This is the reason why sheer khurma is eaten on the morning of Eid Al-Fitr to break the fast. Sheer khurma is also eaten as a dessert dish. It is a simple dish that can be enjoyed hot as well as cold. Every festival in India is celebrated in the most traditional way, by meeting out near and dear ones and cooking traditional food which our grandparents made us eat. And with every festival we try to live up to the traditional practices which our parents and grandparents swear by. But does this mean that we should give up on eating healthy? In times when health is coming in the forefront of most industries, health should be given the utmost priority, no matter the festival or the occasion. This Eid 2018 learn how to make your traditional food items healthier. Milk is one of the important ingredients for preparing sheer khurma. Usually whole milk is used to make this traditional dish. To make the dish healthy, you can use of toned milk or skimmed milk. Fat content in skimmed or toned milk is less than fat in whole milk. Milk is rich in calcium content which is good for strengthening of bones, teeth and muscles. Toned milk is additionally low in calories. 1 cup of toned milk contains only 150 calories, while whole milk contains 285 calories. Whole milk contains saturated fats that can be unhealthy for the heart health and cholesterol. Whereas, toned milk contains only 3% of the fat which can be helpful with weight loss. Hence, preparing sheer khurma with toned or skimmed milk can make it healthier. Vermicelli is made from wheat flour. Though high in calorie content, vermicelli is not harmful until it is consumed in large amounts at a given time. It is low in sodium. High amounts of sodium in blood can increase the risk of high blood pressure. 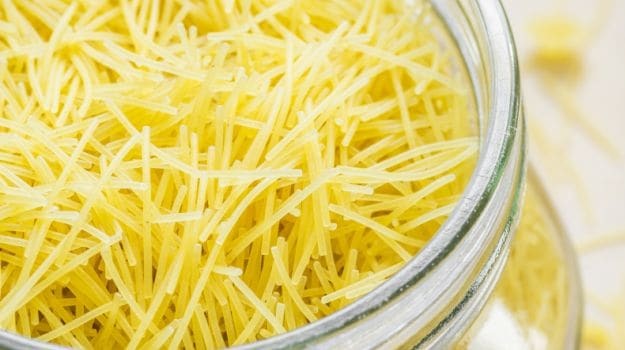 Simultaneously, vermicelli is low in cholesterol and fat as well. In earlier times, dates were used to bring out the sweetness in the sheer khurma and not sugar. And now its time to bring that tradition back. Add dates instead of sugar in your sheer khurma in order to make it sweet. 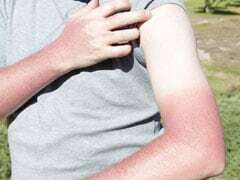 This can make your sheer khurma extremely healthy. Besides, dates have numerous health benefits. Dates are low in fat content and can help in regulating cholesterol levels in the body. They are rich in proteins and vitamins like B Vitamins, Vitamin A and Vitamin C. Dates can help in preventing osteoporosis as they contain high amounts of magnesium, manganese and copper. They can also make up for the iron deficiency in the body and promote the formation of blood. Instead of ghee, you can use canola oil for the recipe. Canola oil is the modern substitute for ghee. It is an extremely healthy form of oil. It consists very less saturated fat and is devoid of any trans-fat. Canola oil contains omega-3 and omega-6 fatty acids that are good for the body. Our body doesn't naturally produce these forms of fatty acids. Canola oil has high level of sterols that reduce risk of coronary diseases. It also helps to lower the cholesterol level of the body. It can also help reduce inflammation caused in bone joints because of chronic arthritis. 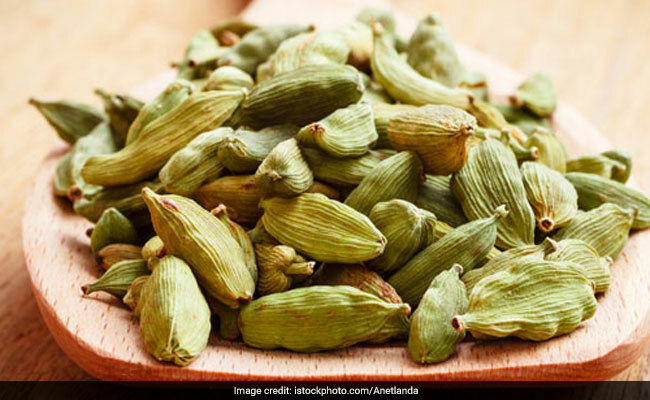 Along with its intoxicating smell and flavour, cardamom can also help in keeping you fit and healthy. Cardamom can stimulate metabolism levels of the body and can enhance the secretion of bile juice. It is good for digestion. It is also rich in antioxidants, fibres and nutrients that can help lower the cholesterol level in the body and keep the heart healthy. Adding only a few strands of saffron can make your sheer khurma much more healthier. Crocin compound in saffron is can trigger the cell death of various types of cancer cells like leukaemia, ovarian carcinoma, etc. The same crocin is also used for the treatment of memory impairment in old aged patients. Saffron can help in stimulation of hormones and can bring about desired puberty. Dry fruits are usually added for garnishing of the dessert. But besides that, dry fruits are extremely healthy too. Almonds can help in maintaining optimum blood pressure, control glucose level in the body and also help in weight loss. Walnuts are good for brain health, skin and hair. You can also add cashews to your sheer khurma. Cashews are packed with Vitamins E, Vitamin K and Vitamin B6 along with minerals like copper, phosphorus, magnesium, zinc and iron. Eating nuts like cashews can help lower the risk for cardiovascular diseases and maintain the immune system.